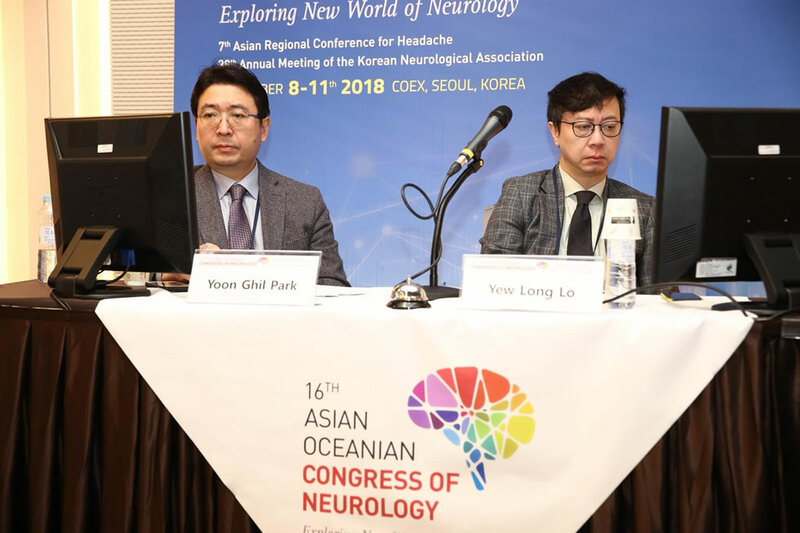 The fourth and final day of the 16th AOCN and 7th ARCH meetings ended on a high note on a "New world of neurology - the therapeutic era". The setting was COEX, Seoul, South Korea on a beautiful sunshiny day, and trees in full majestic autumnal bloom. 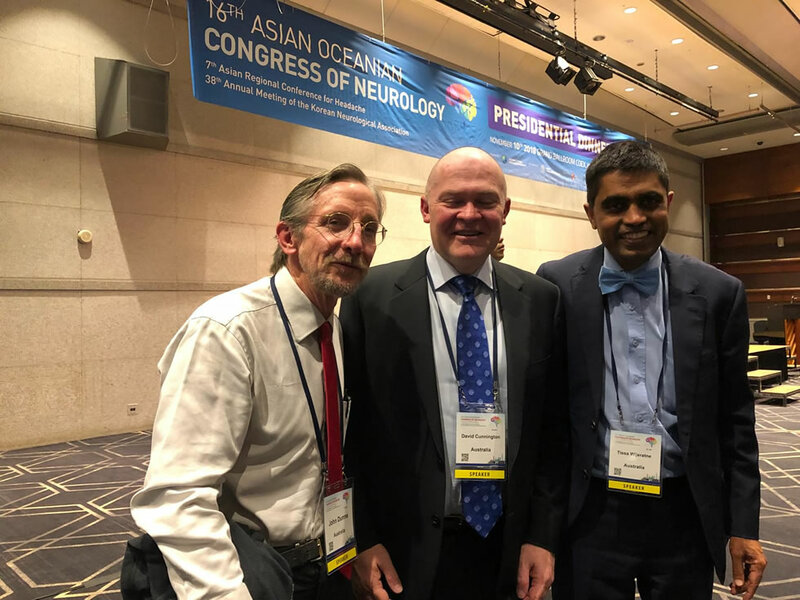 The day began with a masterclass on neuropsychiatric complications in neurological disorders. 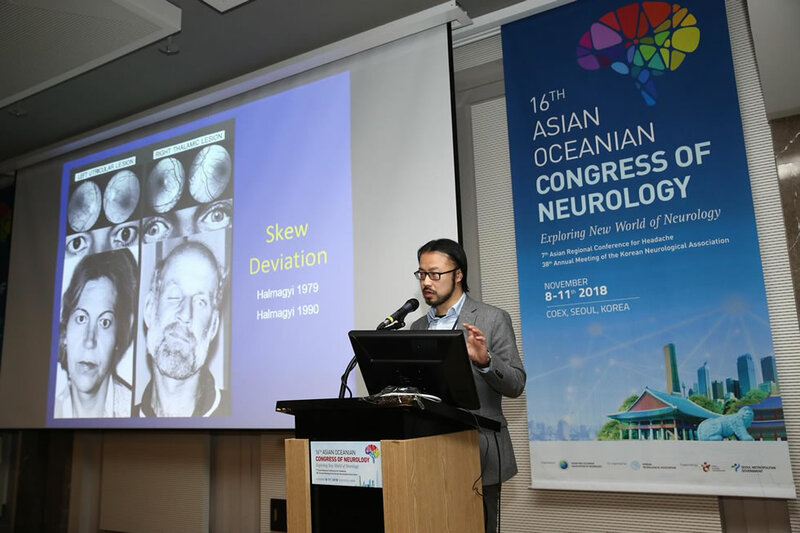 Professor Natan Bornstein (Israel) provided an elegant presentation on depression in stroke patients that is of critical importance with 16 million strokes per year worldwide. “Stroke is a major cause of long-term physical, cognitive, emotional and behavioural disability. There is poor recognition of the emotional burden after stroke. Depression is abnormal and considered as “ emotional distress”. 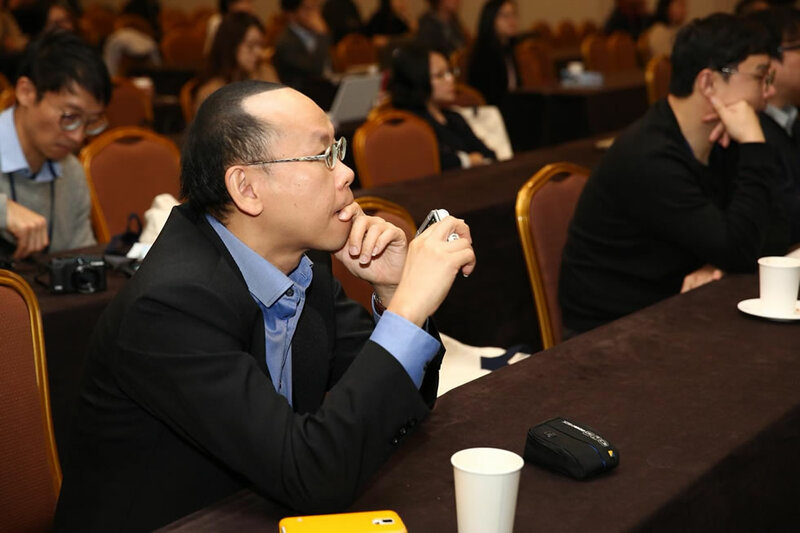 Post-stroke depression (PSD) is the most frequent non- cognitive neuropsychiatric complication affecting up to a third of all ischemic stroke patients. PSD is associated with increased mortality, poor functional recovery and lower quality of life” Professor Bornstein said. 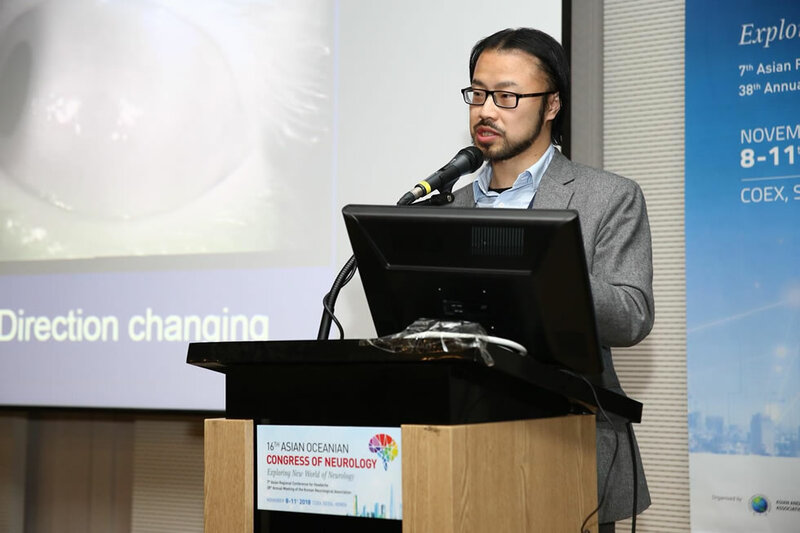 He went on to discuss the biology behind PSD as well as the potential treatment options currently available in spite of the limited and insufficient evidence at present. 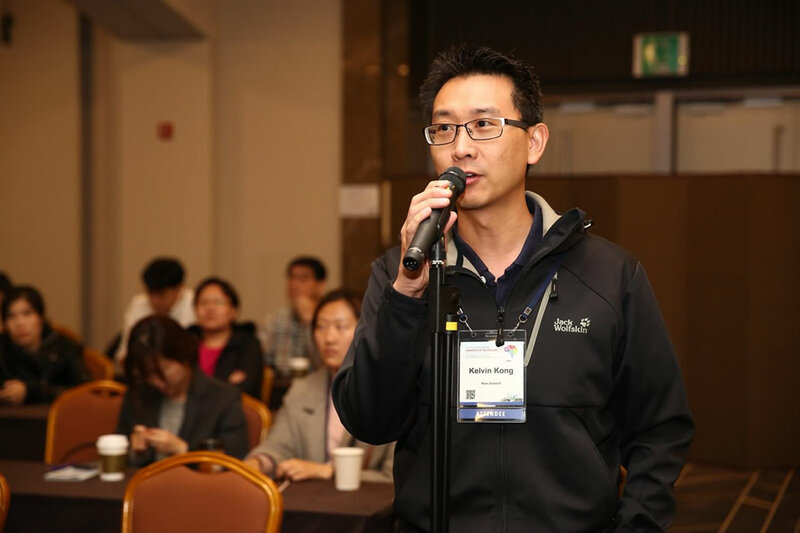 He made it clear that further translational research is urgently needed in this very important field. 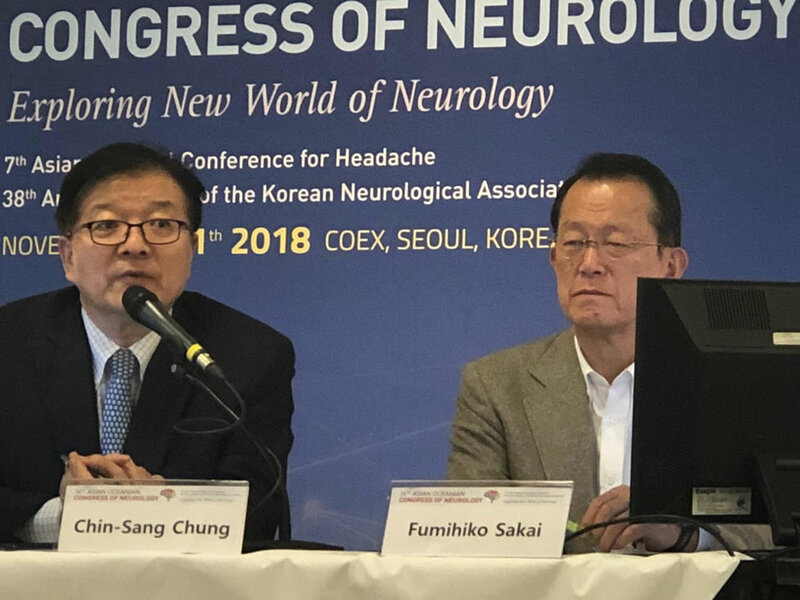 Professor Kun-Woo Park (Korea) discussed neuropsychiatric manifestation of Parkinson’s disease, followed by Professor Sung-Pa Park (Korea) presenting on depression and anxiety in epilepsy. 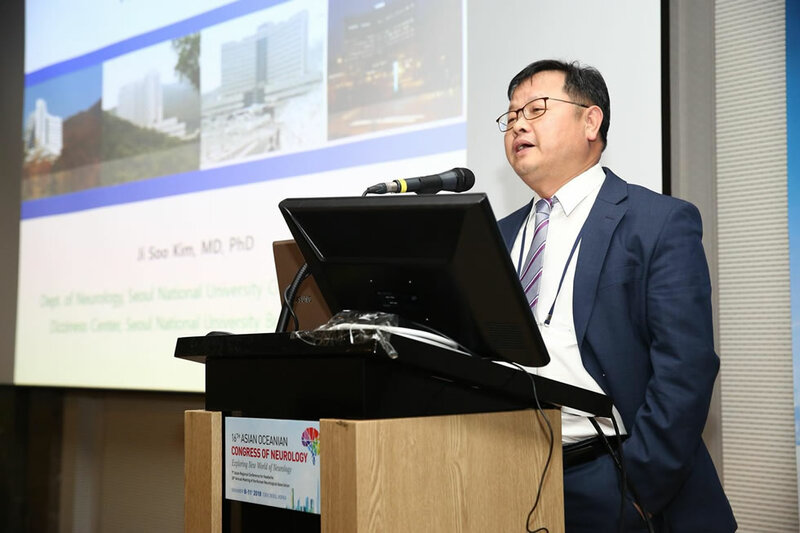 Professor Jong S Kim (Korea) complete this teaching course on the topic of emotional incontinence and anger. 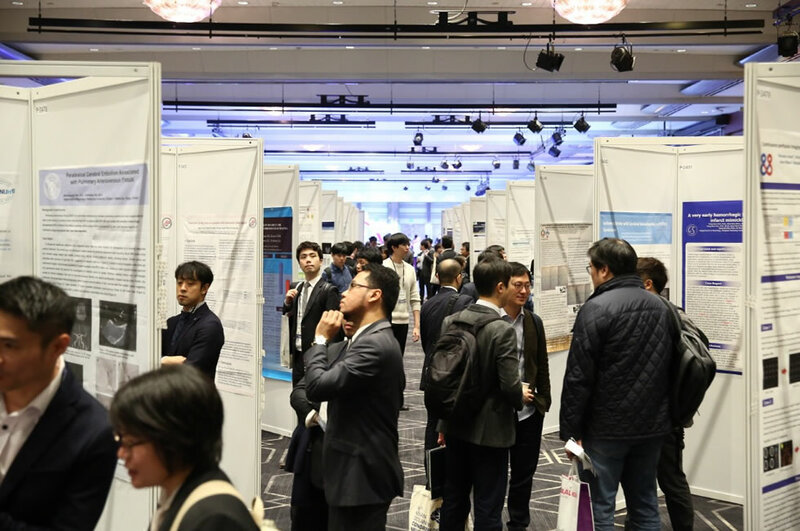 The controversy in neurology session was a sellout. 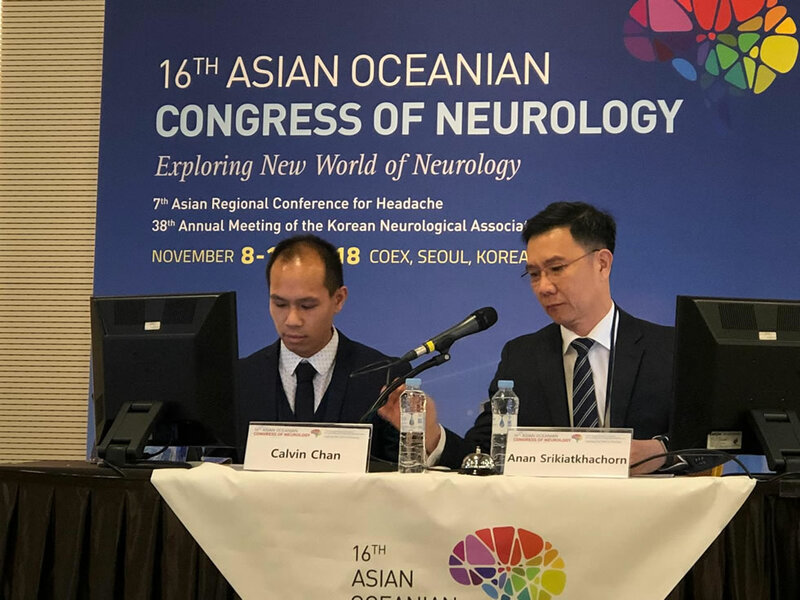 The first theme of the debate was on Patent Foramen Ovale (PFO) Closure in cryptogenic stroke – Yes vs No. 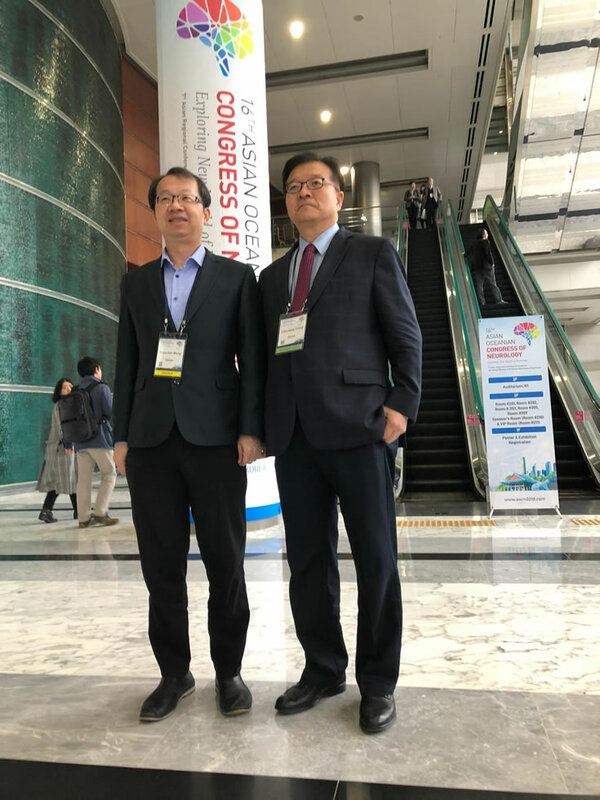 Professor Jae-Kwang Song (Korea) made the case for Pros while Professor Hee-Joon Bae (Korea) made the case for Cons. 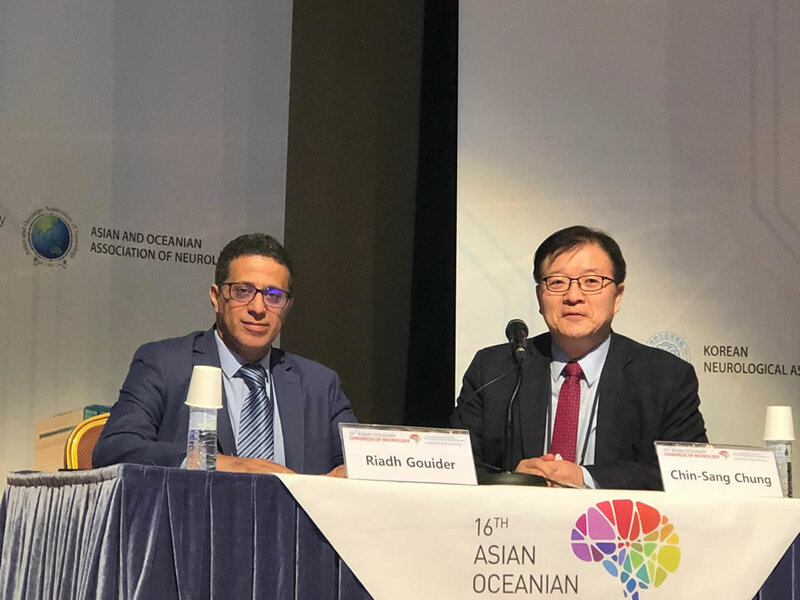 The second theme for the debate was on the hot topic of direct endovascular thrombectomy vs bridging IV thrombolysis before endovascular thrombectomy in proximal artery occlusion. 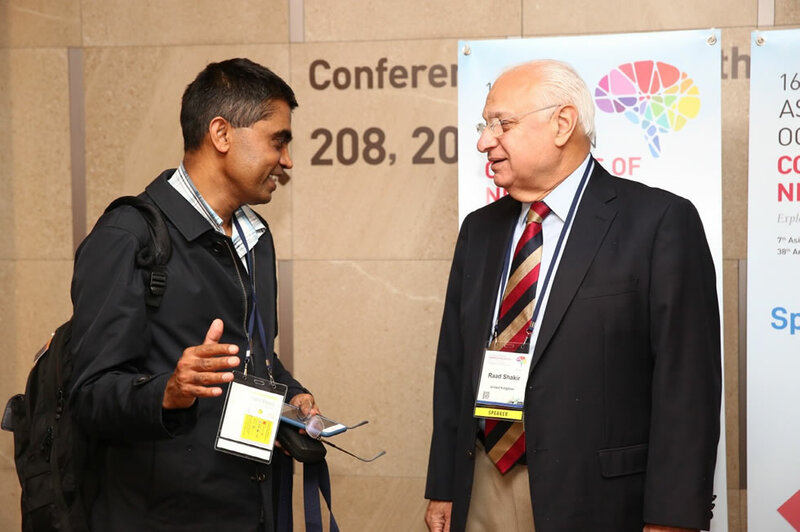 Professor Mohammed A Almekhlafi (Saudi Arabia) made a compelling argument for the direct approach. 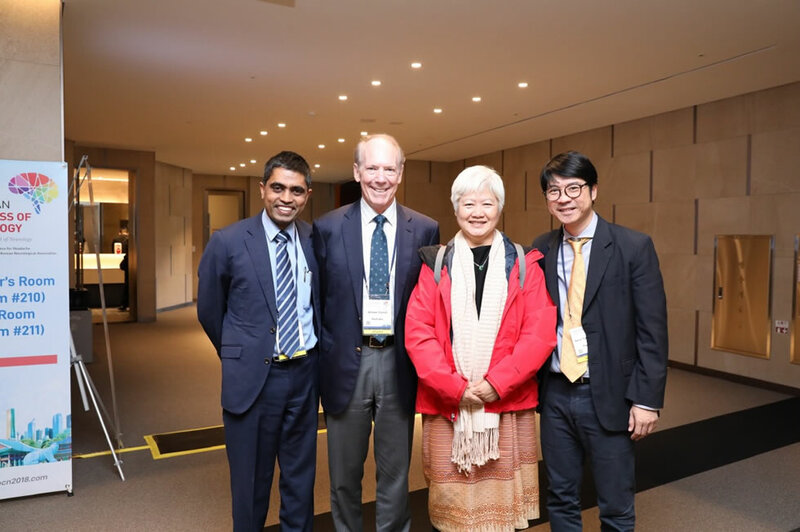 Professor Yan-Ha Hwang from Korea made an equally strong case for the bridging approach. 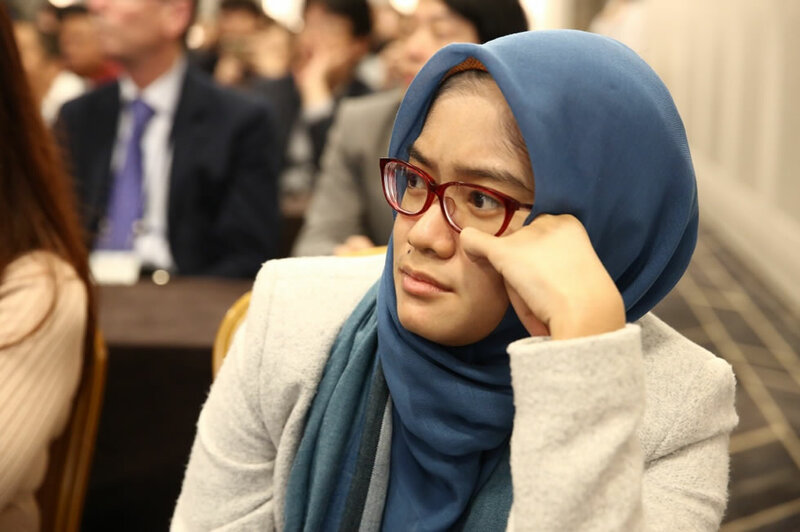 There were active discussions between the delegates and the faculty throughout the session. 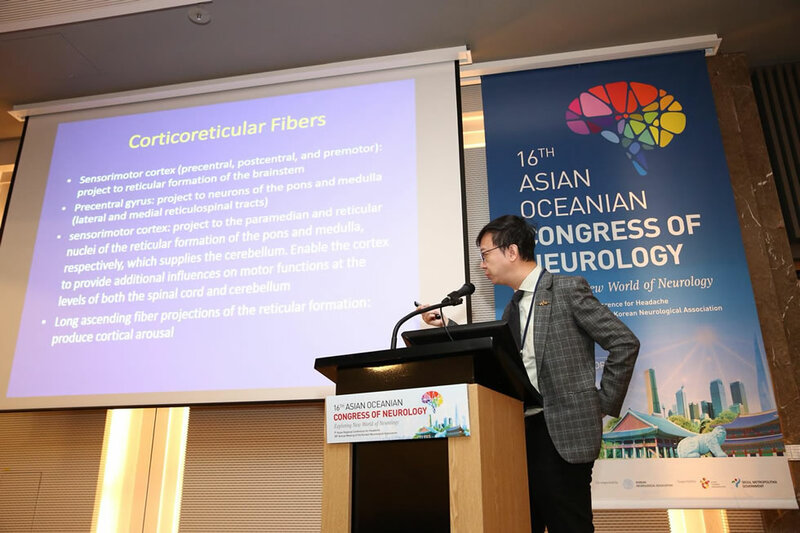 Parallel teaching courses covered the key topics of bedside evaluation of dizziness, imaging evaluation of functional dizziness, vascular vertigo, central positional nystagmus, central ocular motor syndromes, bilateral vestibulopathy, neuropathic pain, intraoperative neurophysiology monitoring current status in Asia, Narcolepsy, restless leg syndrome, obstructive sleep apnea, insomnia. There with a packed and engaged audience throughout the sessions. 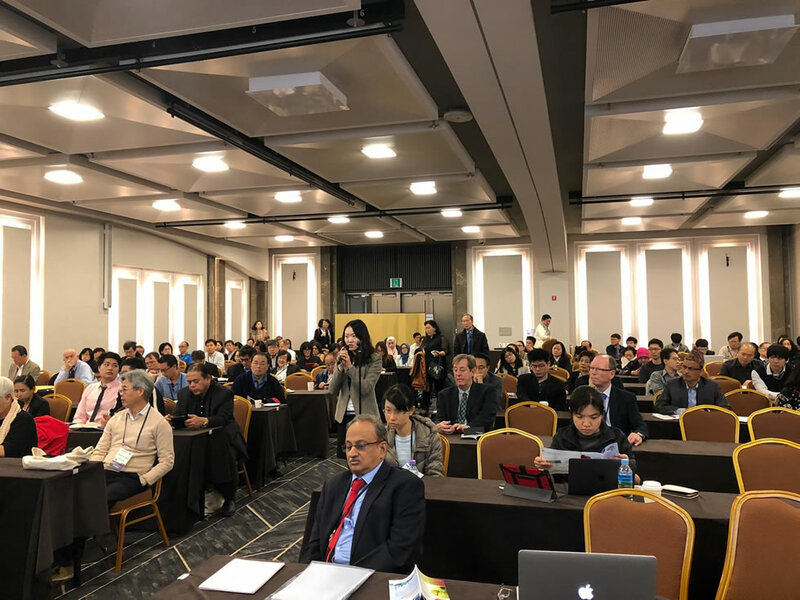 There were three plenary lectures during the final hours of the Congress. 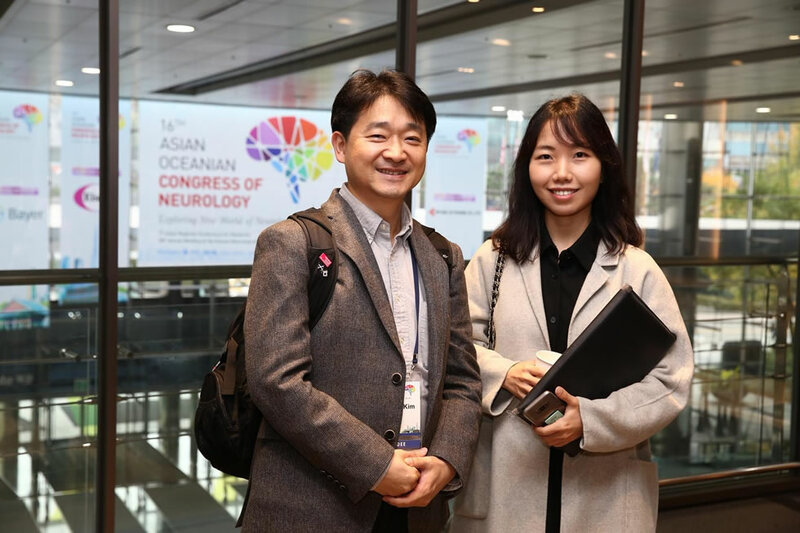 Professor Byung In Lee (Korea) delivered the first plenary on the treatment for epilepsy. 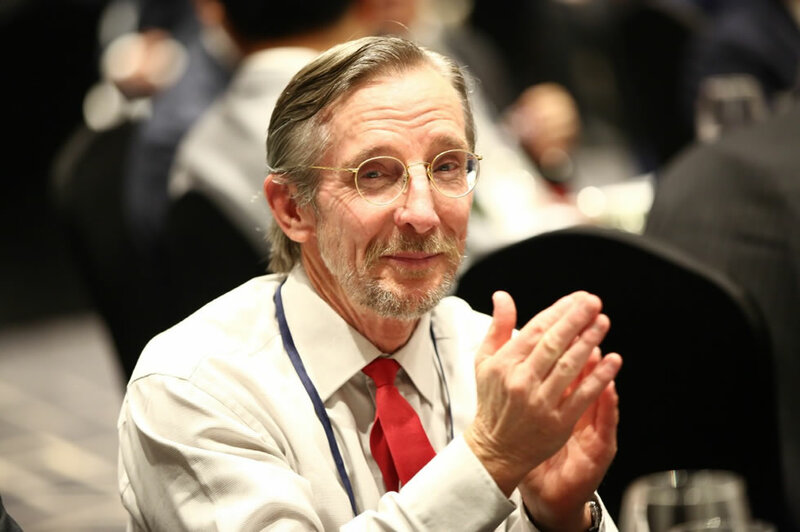 He took the audience through the journey of advances in epilepsy from pharmaceutical therapies, surgical interventions, genetics, new classification and rational polypharmacy. 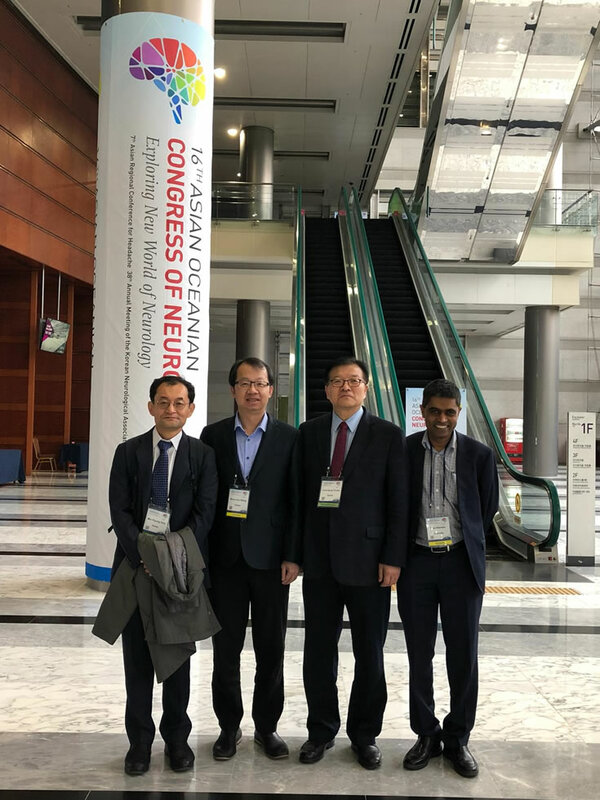 Professor Susumu Kusunoki (Japan) provided the expertise on the autoimmune neuropathies associated with anti-glycolipid antibodies. 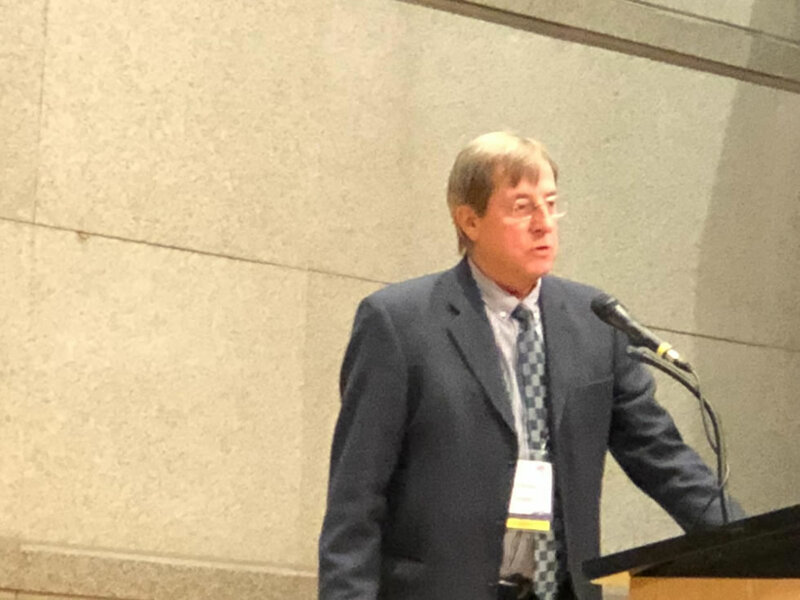 He commenced this superb lecture with a brief historical review and went on to discuss the recent developments and future directions, with examples from his own large case series from Japan. 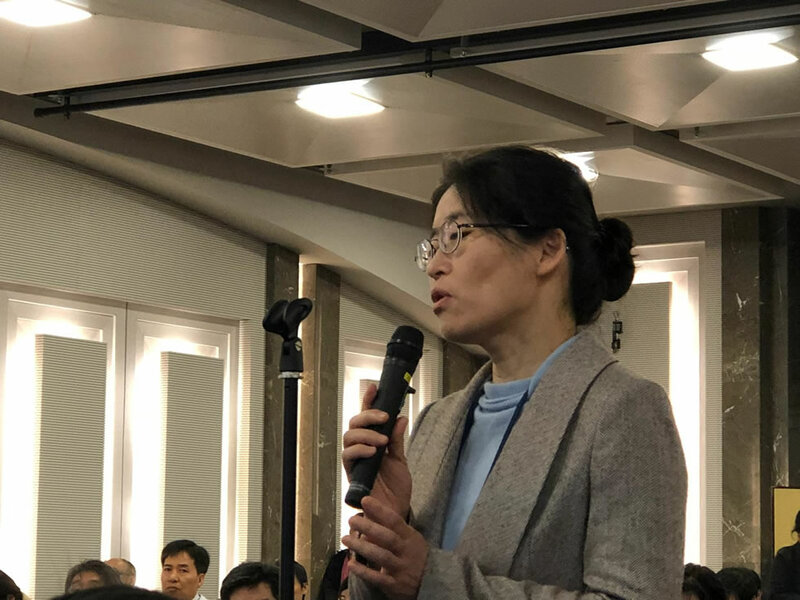 Professor Kusunoki confirmed the potential of anti-glycolipid antibodies as a potential biomarker for this group of disorders while some of them are directly involved in the pathogenesis of autoimmune neuropathies. 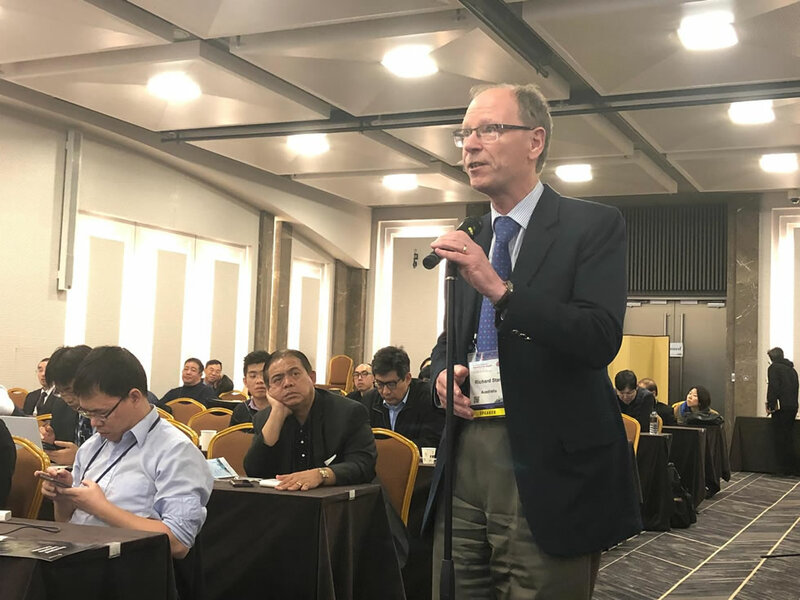 Professor Lars Edvinsson, President of the International Headache Society, delivered a superlative lecture demystifying all aspects of Calcitonin gene-related peptide (CGRP) and primary headaches during the third plenary. 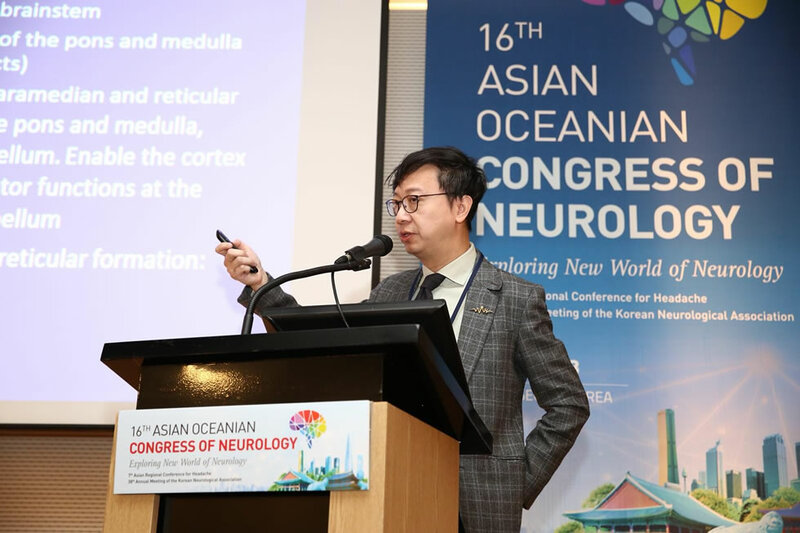 Professor Shuu-Jiun Wang , President-elect, Asian Regional Consortium of Headache (ARCH), President-elect, Asian and Oceanian Association of Neurology (AOAN), and President of the Taiwan Neurological Society captivated the audience with a colourful presentation finishing with a warm invitation to the 17th AOCN and 8th ARCH to be held in Taiwan in 2020. As usual, there was a positive buzz throughout the lecture theatre on headache care and research. 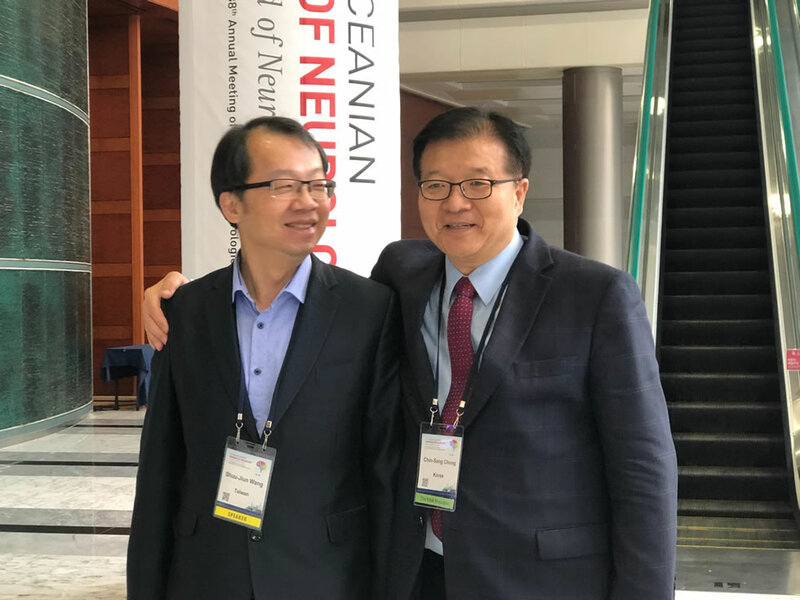 World Federation of Neurology congratulates Professor Chin-Sang Chung and his colleagues on a very successful congress at AOCN & ARCH. 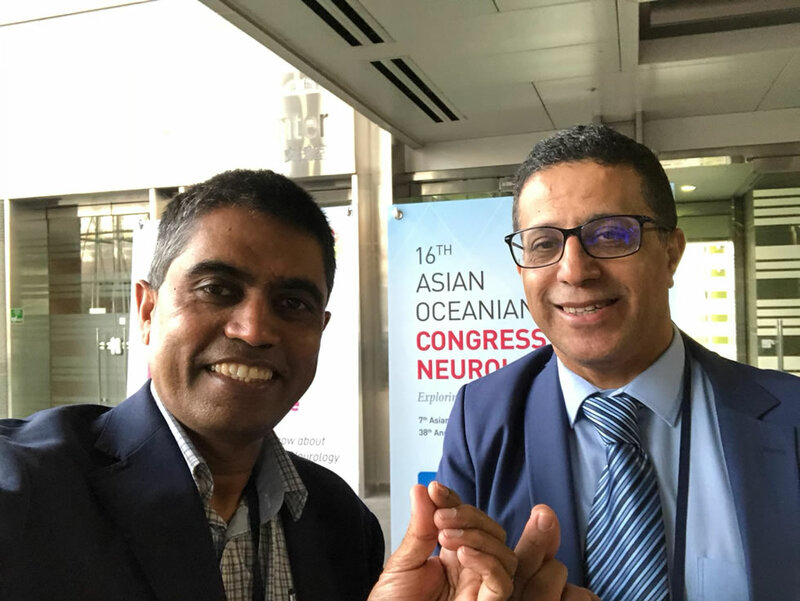 We hope to see you all in Dubai in 2019 and continue our mission of promoting better brain health worldwide.